Bags Of Rock deliver a massive stadium sound of Heavy Rock, Bagpipes and original, ground breaking compositions…Not for the faint hearted !!!!!! Clann an Drumma have been Scotland's leading tribal band for over 15 years. Originally founded by Joe Kilna MacKenzie, they have brought Scottish tribal music to worldwide audiences. The Big Shoogle are a Scottish ceilidh band with over 20 years’ experience playing for weddings, civil partnerships, parties, graduation balls, school proms, festivals, concerts and corporate events in some of the most prestigious venues at home and overseas. EXCLUSIVE TO BEST ACTS. 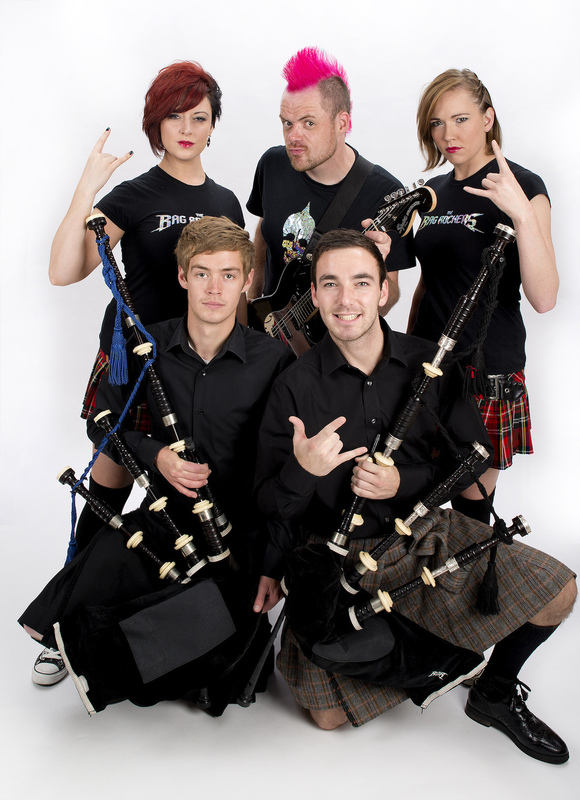 Performing a string of classic traditional Scottish music as well as HUGE hits from some of pops biggest selling Scottish artists, they also perform re-vamped versions of more recent chart hits with a Scottish twist.